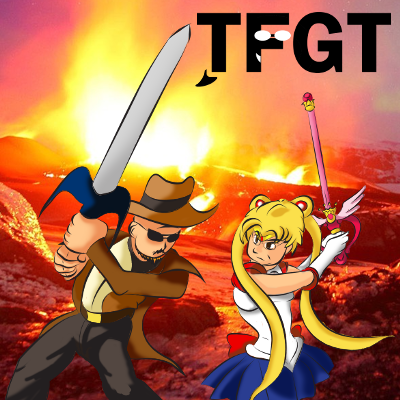 Two Fat Guys Talk - Carlos and Dave Anime Rave: TFGT 22: Slender U? Nintendo Systems and Overrated Indie Horror Games! TFGT 22: Slender U? Nintendo Systems and Overrated Indie Horror Games! Dave and Carlos scrutinize Slender, the most overrated pile o' crap "indie horror game" ever, and openly wonder about this "Wii U" thing they've been hearing about. They also talk about indie games in general, ponder Limbo, chat about emulation, and hype Double Dragon Neon. POSTSCRIPT: We erroneously claim two things about the Wii U: 1) that the NA release lacks a sensor bar, which is incorrect as both versions include the bar; 2) that Friend Codes are still numbers, which we don't actually yet know. Our sincerest apologies for the misinformation.